This Email was so convincing it deserves its’ own post. The only thing that gives it away is the return Email and the fact that it is different than the one used to sign the document. 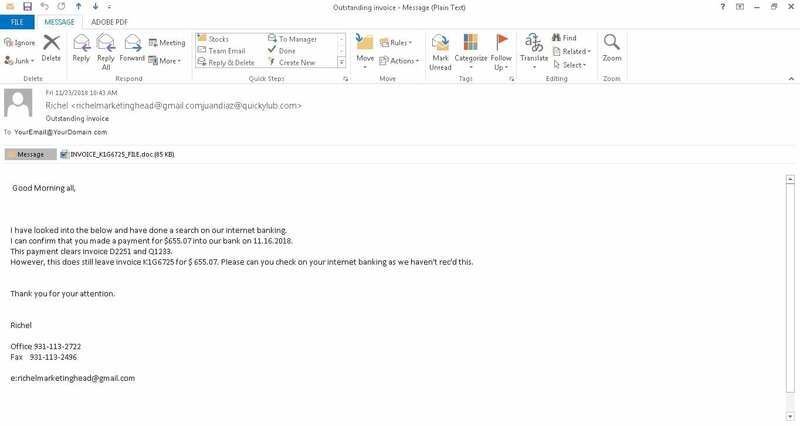 The attached document has a viral payload.